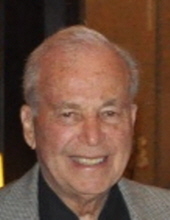 SSWA sadly reports the death of James G. Wallach of Sheila Shine, at the age of 87, on Sunday, January 17, 2016. Born in New York City currently of Aventura, Florida. He was a US Navy veteran. He is the beloved husband of Eva. Devoted father of Steven Hasday, Debra Fanshel, William Wallach and David Wallach. He is also survived by eight adoring grandchildren. Sheila Shine has been a loyal member of SSWA since 1990, and Jim’s absence at future Executive Conferences will be missed. Our sympathies go out to David Wallach and his family, and we look forward to David’s continuing participation in SSWA.